Hello there, it is Wednesday and that means half way through the working week......what a relieve. 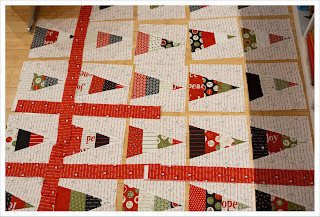 Sunday night I made quite a bit of progress on my 'Countdown to Christmas' quilt for which I use the equally named Christmas collection from Sweetwater. 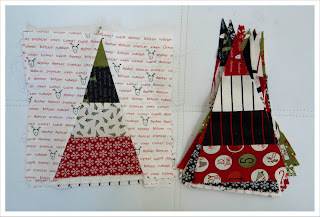 I cut templates for these blocks and will scan them today and post a link to them over the weekend in case anybody would like to use this pattern too. This was inspired by one of the Sweetwater quilts for their current 'Hometown' collection. All of the trees are cut and sewn (I used a Jelly role) and most of the background fabric is attached. But I ran out and ordered some more from Hulu Craft which hopefully arrives today. Looking very cute ! Are you sashing every block? 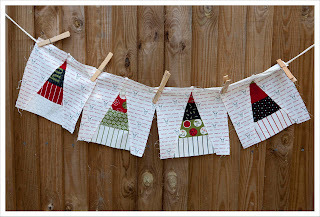 Cute little Christmas trees. 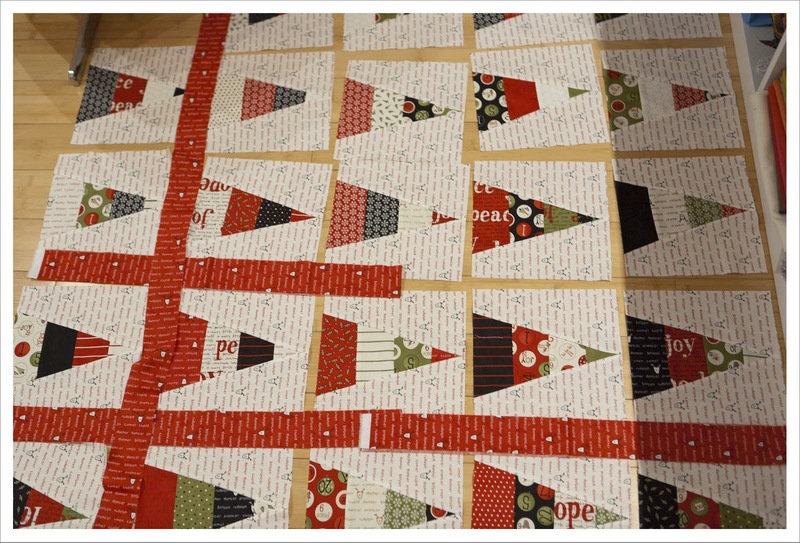 Gonna be a cute quilt. Those are really nice trees! 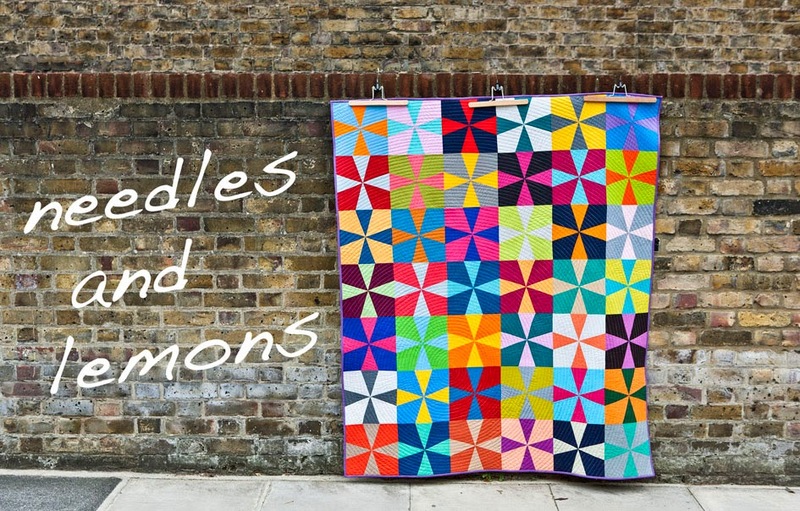 I look forward to seeing the quilt as you progress. Those are super cute trees! Love the trees! I have some yardage of the background fabric too! In all three colours! It's just so darn cute. Would love to have the template and maybe do a runner.